Everyone has days where things go wrong. Today I had one. It wasn’t big stuff. No one was gruesomely injured. We didn’t lose our house, our dog, our children. Nothing burned. Still, my day just sucked. I put all of the blame squarely on Comcast, my mortal enemy. 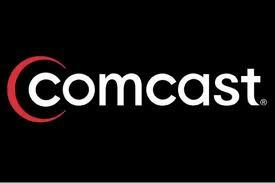 I believe that Comcast, married to Obama, could power a universe with their evil. 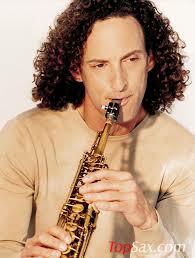 Set that to the music of Kenny G and it would form a trifecta from which Armageddon could be set into motion. My family had been wailing daily of the slowness of our internet. To me, it was fine. I’m not running any power plants or controlling mutant dwarfs through imaginary lands, though. I’m just tracking my calories, my steps, checking Facebook, ordering stuff and writing crap. What do I know? So, I got sucked into the Comcast myth. The myth that it would be zippy fast and we would, indeed, be ushered into the world of the future. Since its installation I have seen The Goose shoot smoke from his ears. I have seen him throw things that make the dogs run and cower. He has clung to our neighbor, begging for help. The man has utilized his mighty powers of obscene swearing to the utmost. Comcast shut his entire office down. 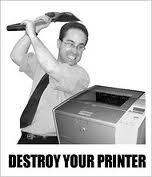 It has caused his printer (which is also my printer) not to accept things from me. Apparently my sweet obedient Macbook is making romantic overtures, but the printer is in flannel pajamas. 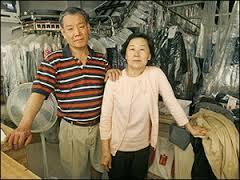 Like an unhappy marriage, they can no longer communicate. 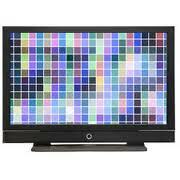 Our TV picture is now made of little squares, through which I must only imagine what is going on. Our DVR doesn’t work. To call Comcast, one must call the 800 number. Oh, there’s a local number, but it routes one to the 800 number. Sneaky. Once answered, there is a series of digits that must be pressed to get to an operator. This takes a good 45 minutes, if it indeed ever happens. This is all done to the accompaniment of Kenny G. It causes the equivalent of ice picks to my eardrums and goes on for eons. Dishwashers get unpacked and repacked. I stripped four beds, washed the sheets and remade them during one wait. I think one day I drove to the grocery store, shopped and was putting away groceries before a human being answered. When the operator comes on, the fun begins. 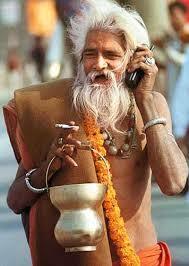 I have no problem with India. I loved the Marigold Hotel movie. I liked Eat, Pray, Love. I like my Indian orthopedic doctor. I have a real problem, though, with someone six million miles away telling me they understand, could I please calm down. When I hung up from the last call The Goose said “The man on the other end of that call is thanking Vishnu you’re not his wife”. Damn straight. I got so frustrated, I cried. Not from sadness, but from sheer rage. Three times I’ve managed to get a service person out here. It took 11 calls and 3 full man hours waiting on hold to accomplish this. In 30 days, three service people. Each time, they have told me the last one didn’t know what he was doing. Ya think? Yesterday, I was told my equipment, which was installed 30 days ago, was old. My bill, my first bill, has a mysterious $125 extra charge on it. I still have not reached anyone to ask about this but feel if I just ignore them for a while, someone will eventually contact me about it. So, in the midst of this misery, I needed to mail stuff. Stuff I couldn’t print. I’ll take my laptop to the UPS store, thought I. On the way my phone died. This probably was not the fault of Comcast, but one never knows. 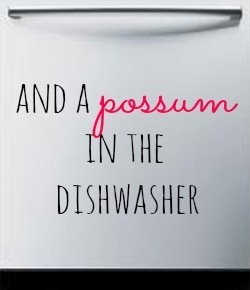 I think the very presence of that unholy entity in our home could be sending poison throughout each and every electrical appliance as well as my brain. I dropped my phone in with my dry cleaning and figured that out about an hour later after numerous panic filled searches through my car and purse. Had to go back to the cleaners and try to explain that. In Korean. The UPS store couldn’t print my stuff. I still don’t understand why. I blame Comcast or Obama. I couldn’t call anyone and whine about it, though, because my phone still wouldn’t work. Came home, tried to use the little printer that came with my computer two years ago. Doesn’t work! Keeps telling me it is out of paper. I have told it, in a fatal move with a paper weight made of rock that it did, indeed, have paper after all, but that won’t matter to it where it’s going. I do blame Comcast here because I couldn’t use my regular printer because it is out, lost in the new internet stratosphere. Why, you ask, do I waste time writing about this? Because all of this started because my home office is FUBAR, all due to the inadequacy of Comcast. I’m hoping an angry mob will form. A group that will complain loudly enough that someone will listen. A sound loud enough to be heard all the way to India. Or even a group that will band together with me to systematically spray paint every truck and sign that says Comcast and change it to Combastard. It’s 4:00 and I’m calling it a day. I know when I’m beaten. I am waiving the white wine, I mean white flag. I find that these days are most often followed by a day where everything works beautifully. I’m counting on one of those tomorrow and if I don’t get one I’m finding the first Comcast truck I see on the road. You’ll read the headlines. Middle Aged Woman, in Cute Sparkle Boots, with Fabulous Necklace, Holds Comcast Employee Hostage. Man is Made to Listen for Hours to Intense Whining and Bitching Set to the Tune of Kenny G.